Finding Creative Solutions for your unique insurance needs. We find creative solutions to your unique insurance needs. We will help you navigate the Affordable Care Act business guidelines and find the solution that works best for you. CIS can help you find group insurance for employees as well as supplemental benefits for employees of businesses who are not mandated to provide a group plan under the ACA guidelines. We can also help businesses with all mandated reporting requirements from the ACA. CIS can help guide you in the process of selecting the right medicare coverage for you. To speak to your specific situation, please set up an appointment with our agent, Rick, directly. Medicare is the federal health insurance program for people who are 65 or older, certain younger people with disabilities, and people with End-Stage Renal Disease. CIS is an independent insurance agency. This means we are not locked into any one insurance provider and can shop for the best carrier and plan for individuals and their families. We offer creative solutions on and off the marketplace. If those options do not work for you we can also find a plan that is not on the affordable. CIS offers a variety of supplemental insurance options ranging from life insurance policies to dental and vision. We offer creative solutions to make sure that you are covered for every area an average health plan may not address that is important to you and your family. Finding the right plans for your unique needs. 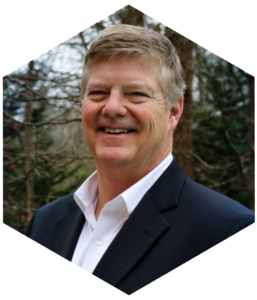 Creative Insurance Solutions is an independent insurance agency in Buford, GA that services all of Northeast GA.
CIS was created by our primary agent, Rick Kent in an effort to help people more easily navigate the current climate of the healthcare industry. With all of the changes and new laws in place under the Affordable Care Act, it can be tough to know which healthcare solution is the best fit for you. CIS was founded on the principles seen in Psalm 139:14 and Rick believes that every person is uniquely made. As a result, no one solution fits everyone. CIS will work diligently to find the specific creative healthcare solution that addresses all of your needs while still finding a place in your budget.